Researchers recently discovered seven new senolytic drugs that reverse aging by clearing out the body’s old and worn out cells, called senescent cells. Several of these senolytics are slated for clinical trials. Imagine if you were able to stop age-related degeneration and bring your body back to its original health and vigor. Even if you aren’t old, your body is home to damaged cells, called senescent cells, that age you and promote disease. These zombie cells create inflammation and dysfunction throughout the body. Scientists have found a way clean out these senescent cells, by using a group of drugs called senolytics. A senolytic is a compound that selectively destroys these zombie cells. In recent experiments, elderly mice treated with the compound appeared and acted more youthful. Their kidney function improved, their fur regrew, and they were able to run twice as far as untreated mice. Researchers hope that senolytics may do the same for us. In fact, scientists around the world are racing to develop even more senolytic drugs. As we get older, senescent cells build up in our tissues, where they contribute to conditions such as arthritis, type 2 diabetes, and heart disease. Senescent cells are zombie-like damaged cells that stop working. They don’t just sit around idly. Instead, they wreak havoc throughout our bodies, causing dysfunction and inflammation. Lifespan extension proponents such as the outspoken Aubrey de Grey of the SENS Research Foundation and other anti-aging enthusiasts have been long advocating for ways to remove these troublemakers from our bodies. Our bodies are continually producing senescent cells, even in our youth. Cells divide about 50 times before becoming senescent and stop dividing. Senescent cells normally self-destruct in a program called apoptosis. Some refuse to commit suicide. The immune system clears out many of these holdouts, immune function weakens with age, and increasing numbers of zombie cells build up. By the time individuals reach old age, significant numbers of senescent cells have accumulated in the body. Senescent cells remain metabolically active and cause inflammation and damage to surrounding cells and tissue. They may have been a healthy liver or pancreas cell, but once they senesce, they change their role and churn out buckets of inflammation-causing molecules. Senescent cells and the inflammation they produce cause a vast array of problems throughout the body and accelerate the process of aging. Senolytics destroy these zombie cells and reduce inflammation and improve tissue function. Removing senescent cells not only delays aging, but it also reverses parts of the aging process. Researchers have used senolytics to clean out the senescent cells in mice, allowing the furry critters to live longer and reducing plaque buildup in their arteries, a natural process of aging due to cholesterol in the blood. Many research teams are working to develop therapeutic senolytics. In total, researchers have found at least seven compounds which kill senescent cells. Hoping that senolytics will help people, researchers are currently conducting a clinical trial to test two of the compounds in patients with brain tumors. Other trials are in the works. Many of the senolytic compounds are cancer drugs and come with downsides. They also kill some healthy cells or trigger side effects such as reducing the number of platelets that help our blood clot. Peter De Keizer is a researcher with the Erasmus University Medical Center in Rotterdam knows a thing or two about senescent cells. The 36-year-old scientist has spent much of his career studying them. One day he and his colleagues uncovered a different strategy for attacking them. Most senescent cells self-destruct in a process called apoptosis. It’s the best thing that can happen to senescent cells. Normally senescent cells have a type of DNA damage that spurs a protective protein, called p53 to eliminate the cell. Instead, the researchers found that a different protein, called FOXO4 binds to p53 and prevents it from doing its duty. FOXO4 is a protein that controls gene expression, a master transcription factor associated with aging and development. When FOXO4 is activated in a cell, it can block apoptosis. P53 is the most common trigger of apoptosis and has multiple functions in the cell nucleus. FOXO4 latches onto p53 and blocks apoptosis. To counteract this effect, De Keizer’s team designed a molecule, known as a peptide. This custom-designed peptide prevents the FOXO4 and p53 from linking up, prompting the senescent cells to commit suicide. Most notably, the peptide spared healthy cells. The peptide is an artificially modified FOXO4, a dummy that binds to p53 in place of regular FOXO4. It works just like a senolytic. De Keizer calls it FOXO4-DRI, and it works by crowding out the native FOXO4. To test the FOXO4-DRI senolytic, De Keizer injected it into normal, elderly mice. In addition to improving their kidneys and fur, the peptide also increased their energy levels. While the senolytic compound did not reduce the number of platelets, it could still have potentially lethal side effects. A cell undergoing apoptosis. Image courtesy of Tom Deerinck of NIH. Researchers hailed the discovery of the FOXO4-DRI senolytic as a breakthrough. It vaulted senolytics into the rare class of longevity drugs, such as metformin and rapamycin. Apoptosis is an important cell function throughout the lifespan of an organism. A cell needs to have good judgment about when to self-destruct; apoptosis can go haywire in either direction. In the elderly, apoptosis fails to eliminate senescent cells, but sometimes healthy cells undergoing apoptosis prematurely, and we lose vital organ tissue as a result. FOXO4 has many roles, including DNA repair. Researchers measure the value of a senolytic by its ability to kill senescent cells without harming healthy cells. Compared to earlier senolytics, the FOXO4-DRI senolytic is more selective. When researchers give an optimal dose of the peptide to mice, more than 80% of their senescent cells succumb to apoptosis, while destroying an undetectable number of healthy cells. De Keizer’s findings raise the possibility of a future senolytic treatment that protects people against the ravages of old age. However, many more tests are needed. There are limitations to using senolytics. After repeatedly removing all the senescent cells, eventually, there will be no healthy cells left. To counter this problem, science needs to find a way to replenish healthy cells. But, that’s an issue for the distant future. For now, getting rid of the zombie cells provides tremendous health benefits. De Keizer and colleagues plan to move cautiously with the FOXO4-DRI senolytic. They want to determine whether their peptide kills cancer cells, which share some similarities with senescent cells. 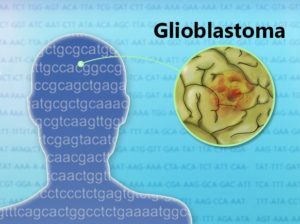 They will test the compound in people with a form of brain cancer called glioblastoma. If the FOXO4-DRI senolytic proves safe, they will begin testing the peptide against age-related diseases and even aging itself. The tactic of removing senescent cells has a great deal appeal. A lot of animal experiments support the effectiveness of senolytics as an anti-aging treatment. Furthermore, the concept of senescence pulls together several ideas about the origin of aging. As we grow older, aging accelerates exponentially, as though it were driven by a positive feedback loop. Senescent cells secrete inflammatory molecules called cytokines. In turn, these cytokines make even more senescent cells, in a feedback loop. Senolytics stop this feedback loop. The bizarre practice of parabiosis is a procedure in which two mice are joined surgically and share a common circulatory system. Scientists use the technique to study how the blood of young mice affects the older one. Senescent cells churn out oodles of chemical messengers, depositing them directly into the bloodstream. Parabiosis experiments have shown that circulating chemical signals form the basis of an epigenetic clock. Using senolytics to remove the senescent cells turns off the supply of the chemical messengers and stops the epigenetic clock. Doctors believe this can be turned into a therapy and use senolytics to clear out the senescent cells, which in turn shuts off off the supply of the chemical messengers and stops the epigenetic clock. Senescent cells aren’t entirely bad. In some aspects, they have a beneficial role. Senescent cells evolved to benefit young reproductive animals, but they are problematic for the elderly. 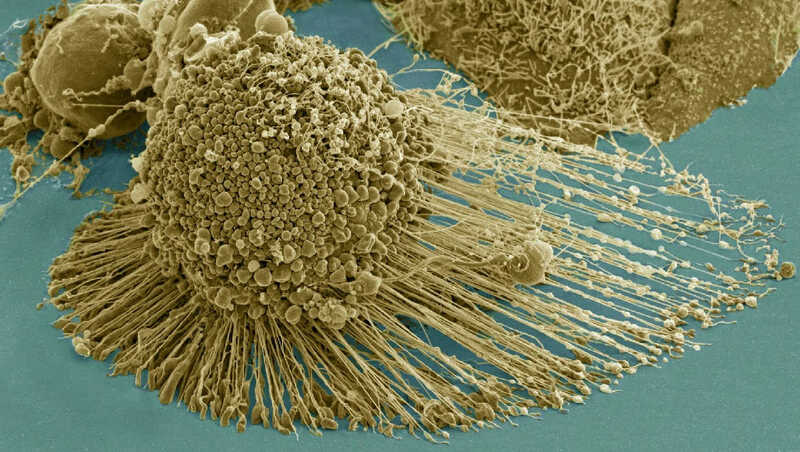 When we are young, senescent cells are programmed to stop dividing if they think are in danger of becoming cancerous. Additionally, senescent cells secrete a host of inflammatory molecules that stimulate regeneration and repair in young people. However, over time, as more and more cells become senescent, and the levels of inflammatory molecules increase and stop having positive effects. Instead, they cause inflammation. Clusters of senescent cells produce such high levels of inflammatory molecules that they persuade healthy cells to turn senescent. This inflammatory loop causes a variety of chronic diseases of aging, including type 2 diabetes, heart disease and certain types of cancer. The problem is that senescent cells help protect us from cancer, and we certainly don’t want to obliterate them entirely. Nor do we want to let them accumulate in old age. As there are many ways to skin a cat, there are other ways to eliminate senescent cells. Researchers have investigated small interfering RNA, and dietary flavonols, as well as many other promising techniques. Regarding pure senolytics, researchers have discovered two classes so far: Quercetin and Dasatinib and the pan-BCL inhibitors ABT-263 and ABT-737 are both shown to kill senescent cells. Two years ago, scientists were excited about the powers of the Quercetin and Dasanatib combination. Most notably, the medications are already known, and FDA approved. The combination of drugs proved to be an effective senolytic that eliminated senescent cells. Unfortunately, the twin-drug cocktail also killed a lot of healthy cells. The Quercetin and Dasanatib combination was a bust so far as a potential therapeutic agent, but it did prove the principle that senolytics can be used to kill senescent cells. This early discovery set off a worldwide effort to find more selective senolytics. As the FOXO4-DRI discovery shows, scientists have made rapid progress toward finding more efficient senolytic treatments. Start-up companies have gotten in on the act. For example, Unity Biotechnology aims to clear senescent cells from the joints, arteries, eyes, and kidneys using the senolytic compound ABT-263. Scientists at the Weizmann Institute of Science are on a similar track, using a sister senolytic called ABT-737. In 2016, these researchers reported that ABT-737 could clear senescent skin cells from the bodies of mice, increasing the number of hair-follicle stem cells. The potential for regrowing hair will be lucrative if it passes muster in humans. How does FOXO4-DRI stack up against other senolytics? The senolytics ABT-263 and ABT-737 are promising, but they also have issues. It seems they kill healthy control cells. ABT-263 is a more selective senolytic than ABT-737, but neither is as particular as FOXO4-DRI. So far, FOXO4-DRI is the most selective senolytic in that it kills senescent cells, yet is relatively safe for healthy cells. CE&N also reported that others researchers are considering a different strategy for eliminating senescent cells. Instead of trying to kill and remove senescent cells, some scientists want to reprogram them to a more youthful state. 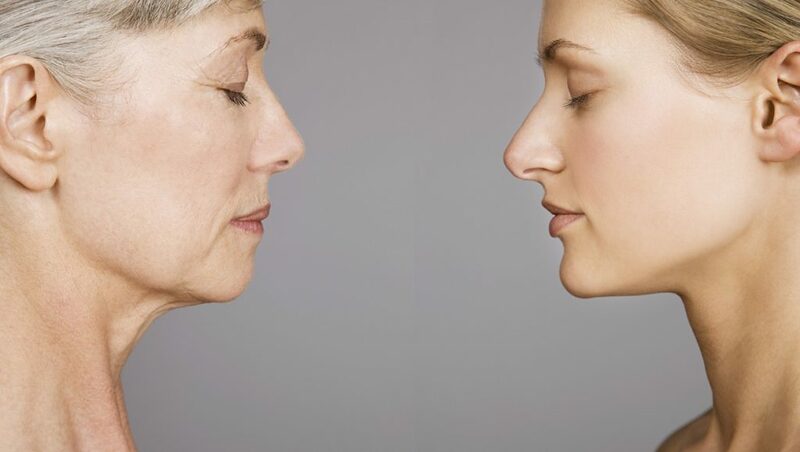 The key principle is to erase the cellular markers of aging in senescent cells. Juan Carlos Izpisua Belmonte from the Salk Institute for Biological Studies is leading the reprogramming approach. The beauty of pluripotent stem cells is that they possess the potential to become any cell type in the body. Belmonte is borrowing from strategies used by other researchers and is reprogramming mature cells such to become pluripotent stem cells. While waiting for senolytics to arrive, there may be an alternate solution to the problem of inflammation-causing zombie cells. Two years back, scientists showed that rapamycin acts as a circuit breaker to shut off the harmful effects of senescent cells. Because rapamycin shuts down the system for maybe a week or longer, it only has to be taken every once in a while, potentially bypassing side-effects. As the linked article shows, intermittent rapamycin dosing may be one stop-gap solution to the problem of cellular senescence. A new class of drug called senolytics has joined the ranks of leading lifespan-extending therapies, such as the drug metformin, currently in clinical trials and other anti-aging interventions such as telomere therapy, the Fasting Mimicking Diet, and a drug called rapamycin, also in clinical trials. FOXO-DRI is the most promising senolytic we have today. It is more selective because it kills senescent cells while avoiding collateral damage to healthy cells. Peter De Keizer and colleagues, the inventors of the peptide, are taking a slow approach to testing the senolytic in humans. They will try out the compound on brain cancer first. If that proves successful, they will try the FOXO4-DRI senolytic on age-related diseases. Other researchers are seeking to reprogram cells, turning them into pluripotent stem cells, which rejuvenate the body. While waiting for senolytics to be approved, intermittent rapamycin dosing may be one way of reducing the inflammation and dysfunction caused by senescent cells. Related Article: Mayo Clinic scientists use senolytic compounds to reverse symptoms of respiratory disease in mice and hope to translate their findings to humans. Marjolein P. Baar, Peter L.J. de Keizer, et al. Targeted Apoptosis of Senescent Cells Restores Tissue Homeostasis in Response to Chemotoxicity and Aging. 2017. Cell , Volume 169, Issue 1, 132-7.e16. DOI: http://dx.doi.org/10.1016/ j.cell.2017.02.031 Available Online. Darren J. Baker, Bennett G. Childs, Matej Durik, Melinde E. Wijers, Cynthia J. Sieben, Jian Zhong, Rachel A. Saltness, Karthik B. Jeganathan, Grace Casaclang Verzosa, Abdul Mohammad Pezeshki, Khashayarsha Khazaie, Jordan D. Miller & Jan M. van Deursen. Naturally occurring p16Ink4a-positive cells shorten healthy lifespan. Nature 530, 184–189 (11 February 2016) doi:10.1038/nature16932 Available Online. Reut Yosef, Noam Pilpel, Ronit Tokarsky-Amiel, Anat Biran, Yossi Vadya, Snir Cohen, Ezra Vadai, Liat Dassa, Elisheva Shahar, Reba Condiotti, Ittai Ben-Porath and Valery Krizhanovsky. Directed elimination of senescent cells by inhibition of BCL-W and BCL-XL. Published online 06 April 2016. Nature Communications 7, Article number: 11190 (2016) doi:10.1038/ncomms11190. Available Online. Ocampo, Alejandro et al. In Vivo Amelioration of Age-Associated Hallmarks by Partial Reprogramming. 15 December 2016. Cell, Volume 167 , Issue 7 , 1719 -1733.e12. DOI: http://dx.doi.org/10.1016/j.cell.2016.11.052. Available Online. Diagnosis, Advice, and Treatment: This article is intended for informational and educational purposes only and is not a substitute for professional medical advice. Senolytic compounds are experimental drugs and have not been proven to be safe and effective in clinical trials. Experimental drugs such as senolytics carry a much higher risk than FDA-approved drugs. The information provided in this report should not be used during any medical emergency or for the diagnosis or treatment of any medical condition. Consult a licensed physician for the diagnosis and treatment of any and all medical conditions. Call 911, or the equivalent emergency hotline number, for all medical emergencies. As well, consult a licensed physician before changing your diet, supplement or exercise programs. Photos, External Links & Endorsements: This article is not intended to endorse companies, organizations or products. Links to external websites, depiction or mention of company names or brands, are intended only for illustration and do not constitute endorsements. Thank you for pointing out the things that need fixing.